Here is a pit-stop painting – pit-stop in that it was done quickly while watching television. I was looking after Alfie for a while and as he likes to look out of the window I thought I’d bring down a few paints and paint there. 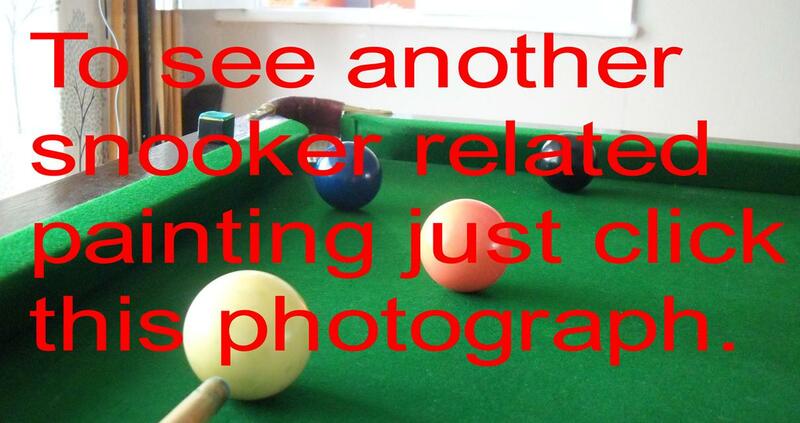 In the next room sits a snooker table and sometimes I practise potting the colours in order. I don’t seem to be improving and I have not progressed passed potting the blue. This equates to 14 points. Here is an abstract painting representing the four colours (yellow, green, brown and blue.) It would be poetic if I had painted it in 14 minutes but it took about 40 minutes. 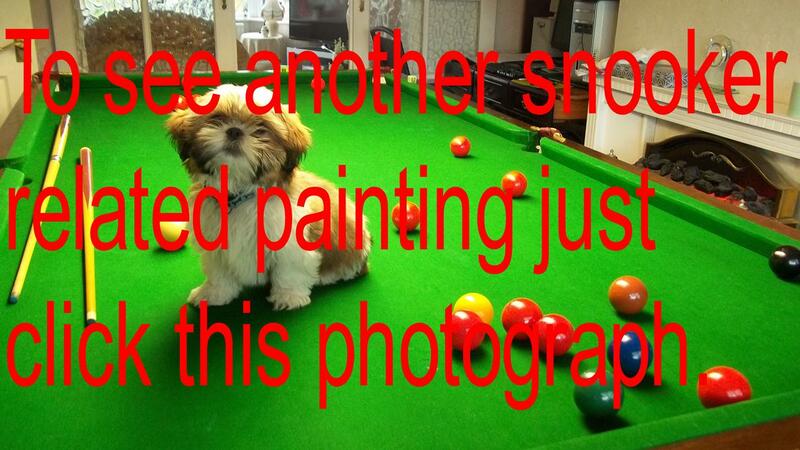 When I have potted all the colours in one go I will bore you with another painting representing all seven colours. This painting would suit the wall in your library. It is A4 size. I sawed it myself from a piece of board and plopped it into an A4 frame. As the colours represent 14 points you can buy it for £14,000. It includes a £1 frame bought from Pound Kingdom.